Saul talking to his partner Mira. - Mira: The point is, what do you want? You do everything you can to avoid making a decision. 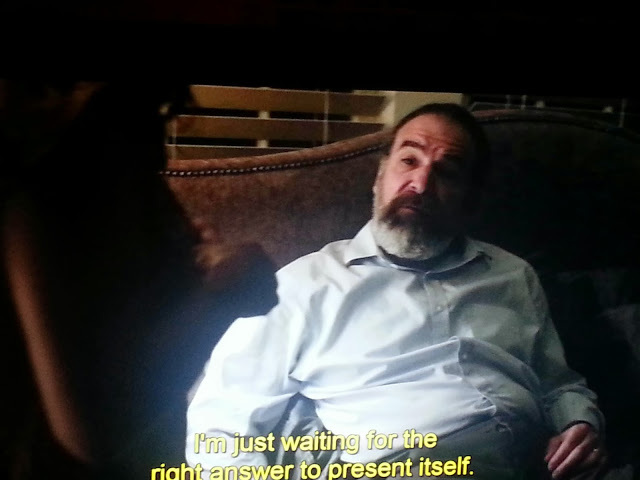 - Saul: I'm just waiting for the right answer to present itself. - Mira: Well, it is paralysing you.